Welcome to lesson six of your email course, Exercise Recommendations for Osteoporosis. Today we will cover yoga and osteoporosis and specifically how to practice safe yoga when you are concerned with your bone health. More and more people are practicing yoga because of it’s health benefits. I am a Certified Yoga Instructor and run a weekly yoga class at my local yoga studio. Over the past decade I have attended many yoga classes across Canada and the United States. Unfortunately, my experience has been that many yoga instructors (and practitioners) are not familiar with the challenges presented by osteoporosis, osteopenia and low bone density. As a result, practitioners are putting themselves at an elevated risk of a fracture during their practice. I have been involved in safe movement for long time. But my involvement with yoga didn’t really happen until about 2010. At the time I was invited to yoga class with a friend. I noticed that there were as many different styles of yoga as there were styles of yoga teachers. Before my involvement in the world of osteoporosis, I didn’t think about the poses presented during a class. But once I considered yoga classes for people with osteoporosis or low bone density, my life changed. At that point I decided to become a yoga instructor. Further, I needed to understand what are yoga teachers learning, how much knowledge of anatomy and physiology and how much were they being educated about osteoporosis. I was very disappointed to find out that most of my classmates were falling asleep during the little bit of anatomy that we did have. There was absolutely nothing taught on osteoporosis. When I asked my teacher what osteoporosis was, both she and her instructor defined osteoarthritis beautifully. Neither understood the forces that forward bends placed on the human body nor how certain yoga movements put people at risk of compression fracture. That motivated me to write and publish the book, “Yoga for Better Bones”. My goal is not to scare people away from yoga but to educate them so that they can practice yoga without the fear of fracture. That is why I wrote Yoga for Better Bones. Yoga for Better Bones provides a basic education on anatomy and movement as they relate to yoga, how to use yoga to improve bone health, how to modify your yoga practice to make it bone fracture free, and what yoga poses you should avoid. 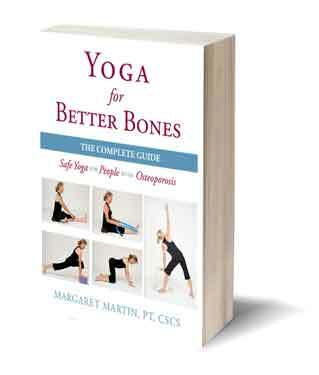 Yoga for Better Bones is available on Amazon in both print and Kindle formats. 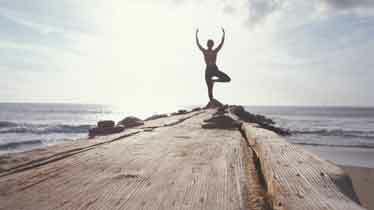 I have a page dedicated to Yoga for Better Bones. Yoga for Better Bones does an extensive overview of yoga poses and osteoporosis and it would be too much for me to cover everything here in this post. However, there are three tips you should consider if you practice yoga and you are concerned about your bone health. I encourage you to find an instructor who is familiar with osteoporosis and knows how to monitor you and suggest modifications. Yoga for Better Bones will empower you to understand osteoporosis and filter for yoga teachers who know their stuff. Make your deep postural muscles part of your yoga program! I have a full guide on posture perfect you can read. Tomorrow you will receive your final lesson in this course — lesson 7 will cover Core Strength and Osteoporosis. 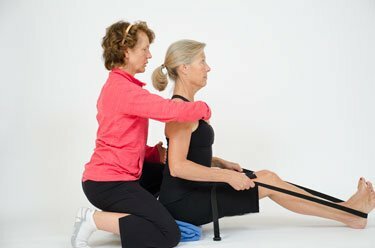 Could you recommend a yoga instructor in West end Ottawa that has some knowledge of osteoporosis. Hi Suzanne, Unfortunately I do not know of one. Ask them their knowledge of osteoporosis. Ask them to define osteoporosis and then ask them if they know what is contraindicated for individuals with osteoporosis. Better safe than sorry. An instructor who is knowledgable in the area will be more than happy to be asked these questions and will thank you for looking after yourself. If in doubt provide them with a copy of my book Yoga for Better Bones. I am wondering if hula hooping would be a safe and acceptable exercise for osteopenia/osteoporosis? Hi Doreen, Hula hooping would be a fun warm up to balance or strength training. If it gets you moving it is a great start but do not rely on it for building your bones, balance or strength or flexibility.